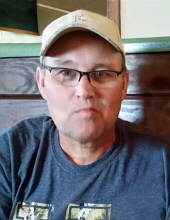 Mr. Michael T. Reynolds, 56 of Versailles, passed away quietly on Thursday February 7th, 2019 after a long battle with cancer. He was born on February 18, 1963 in Mt. Vernon, KY to John and Irene Prewitt Reynolds. He will be lovingly remembered by his two daughters, Grace (Brad) Gayheart of Versailles, KY, and Chelsey Reynolds (Stewart Taylor) of McKee; his grandchildren, Harley Gage Graham, and Ethan, Tyler and Summer Taylor; sisters, Karen Bray of Mt. Vernon, and Mae (Danny) Renner of Stanford; brothers, M.B. (Gale) Mink of Miamisburg, OH, and J.D. (Glenna) Mink, Marvin (Darlene) Mink, Delbert Reynolds, and Johnny (Tammy) Reynolds, all of Mt. Vernon; and sister-in-law Ruby Mink of Mt. Vernon. A host of nieces, nephews and cousins also survive, as well as special friends, Rickie and Kathy Pennington, Brenda and Larry Gayheart, and George Black. In addition to his parents, he was preceded in death by two brothers, L.C. Mink and Ronnie Dale Reynolds; a nephew Gary Keith Mize; and grandparents Logan and Mary Prewitt, and Fred and Georgia Reynolds. To plant a tree in memory of Michael T. Reynolds, please visit our Tribute Store. "Email Address" would like to share the life celebration of Michael T. Reynolds. Click on the "link" to go to share a favorite memory or leave a condolence message for the family.